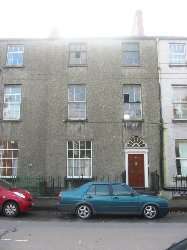 4 STOREY, MID-TERRACED BUILDING CLOSE TO DUNDALK TOWN CENTRE. CONSISTS OF A BASEMENT AND 3 STOREYS. IS A DERELICT BUILDING IN NEED OF COMPLETE REFURBISHMENT. WOULD SUIT INVESTORS AND DEVELOPERS. LARGE GARDEN AT REAR, 313 FT LONG, WHICH STRETCHES TO THE RAMPART RIVER. SUITABLE FOR OFFICES OR APARTMENTS.